Why waste time when you can peel and stick? Yes, there are address labels with euphoric templates, which could add personality to your letters packages and holiday cards. Free Return address labels are stickers which could be peeled easily and mortar on the envelope or any other document. The Free Address Labels mentions the company name and the address of the company to the recipients for the ease to send regards. Winnie the Pooh Christmas Return address Label is a trendy design of animated cartoon animal characters with a white background so to look highly consumable with the address. 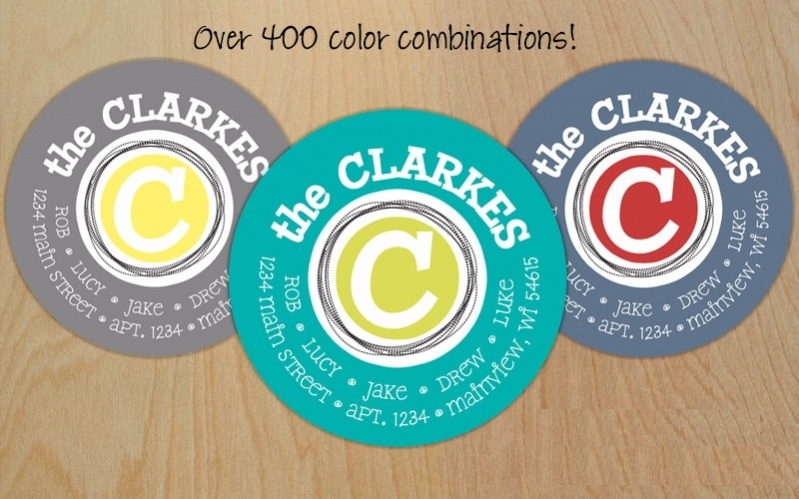 Labels are 2 5/8″ x 1″. You may also see Free Printable Labels. 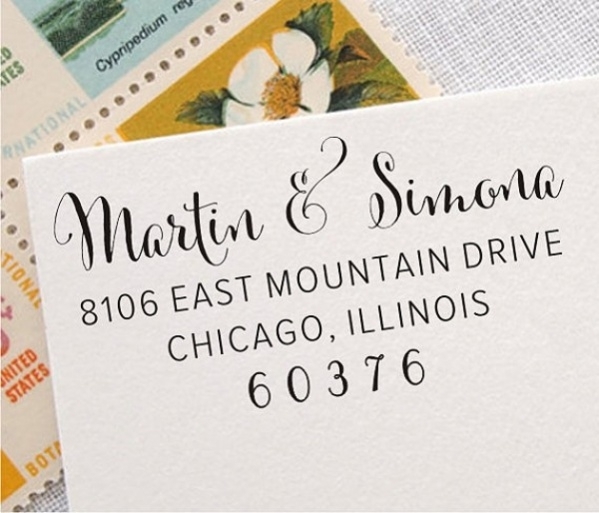 These plain white envelopes are available with the name of the couple and the address which could get a sudden glance by the customers because of its simplicity and art. The dimension of the stamp imprint is 2.5×1. You may also see Product Labels. These holidays return address labels are cool designs with stocking family characters offer significant welcome of the season to family and companion. Dimensions measures are 1″H x 2 5/8″W. The design signifies emphasize very cute dogs with a variety of breeds to warm welcome the recipient. If the recipient loves dogs you can use these designs for regards. These Graduation labels are 4 types depending on the look and feel i.e., transparent and opaque. These are crystal clear, sheer clear, glossy and matte. Luxury and style crafted in these premium labels. 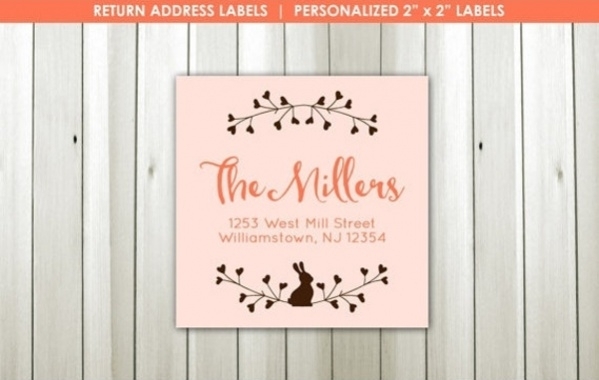 A very catchy bunny theme with a perfect ambiance personalized and formatted to print on every 22816 2″x2″ Square Labels. One will be getting a high-resolution pdf file, and no pdf or print items are mailed. 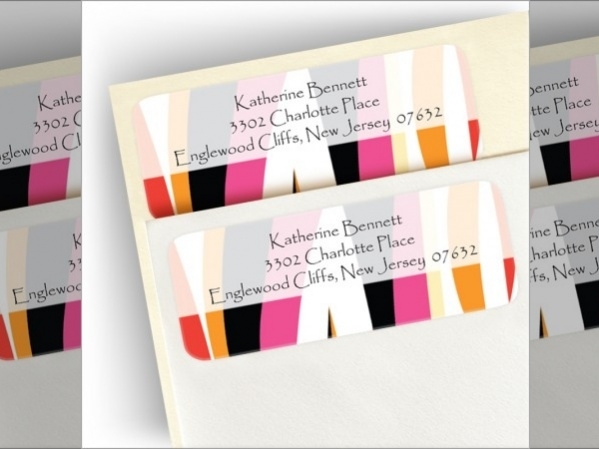 This is a stripped design which gives an executive look to the envelope available in 3 background soft colors. It measures a standard 1″H x 2 5/8″W dimension. The label features address and full name. The initials of the name along with the address make it quite simple and beautiful in its own simplicity with impressive personal touch. It measures a standard 1″H x 2 5/8″W. These circle return address labels are transformed in the shape of circles these labels gives an extra style to the market of labels. Stickers are imprinted on 60 polished, self-glue papers. These handmade labels not made by professional label makers which give a middle age household feeling and a handy stuff like numbers or alphabets embroider. This comes under do it yourself easy methods. Blank return address labels are designed in shapes having empty space inside with a perimeter enclosing the writing area. These can be either printed or can be purchased readymade from market having the freedom to write any of your address willingly. Some of these adorable lavish unique designs for the customer, laser-printed adhesive-back stickers come with shapes of circle, square or rectangle in accordance with the order for customization. It measures 9.5″ x 4.25″ dimension labels. 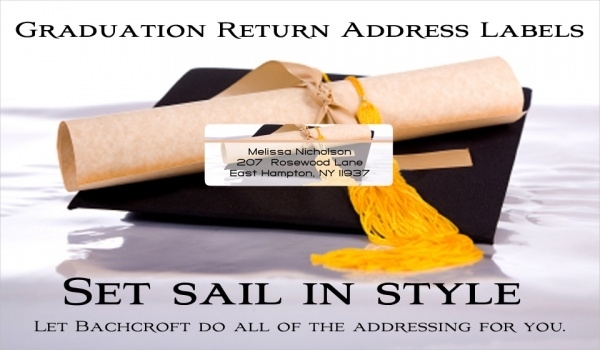 A beach themed return address label with sea animals imprinted in light complexion with sky blue background DIY, customizable and compatible with many file formats could be downloaded as a pdf. 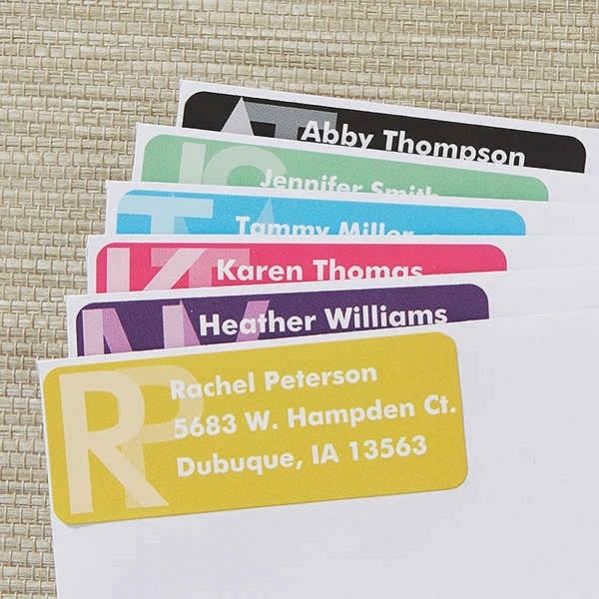 These address labels are best for office use, business deals, party invitations or any other favorable motive with 4 different label sizes, which can be groomed according to the need of customers. These superhero return address label are available on the web as free label designs for download. This can be seen emphasizing animated superhero content and can be available for free. 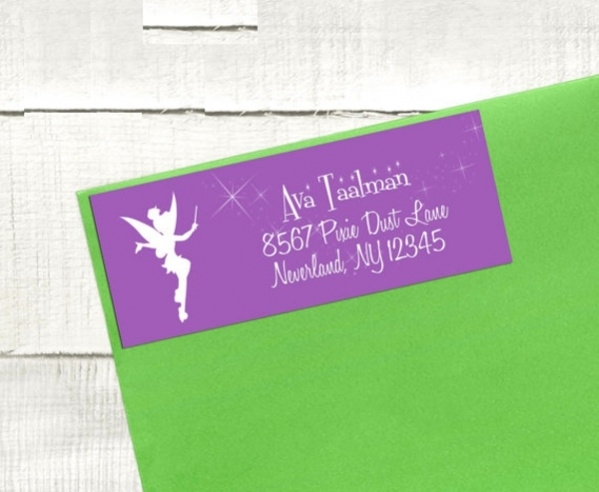 These fairy birthdays return address labels can be used for celebrating daughter’s birthday. This is going to be a dream if the event is addressed with fairy birthday return labels. 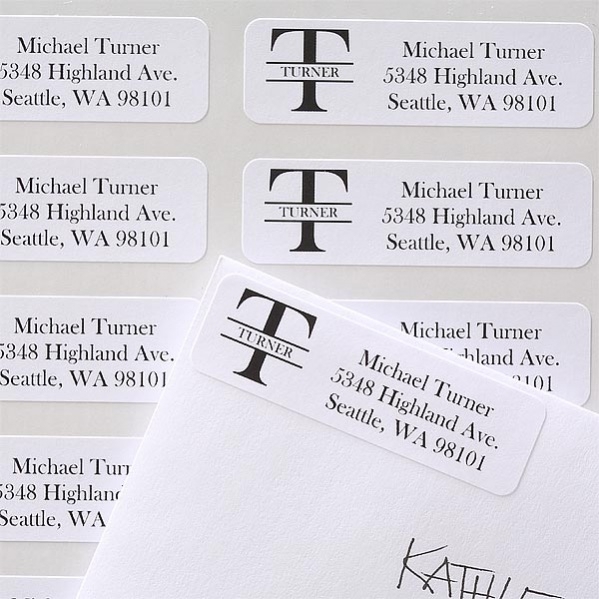 In these Name Return Address labels, the initials of the last name are printed in a creative manner to signify decent manner. These free address labels samples are available for free to download on various websites. 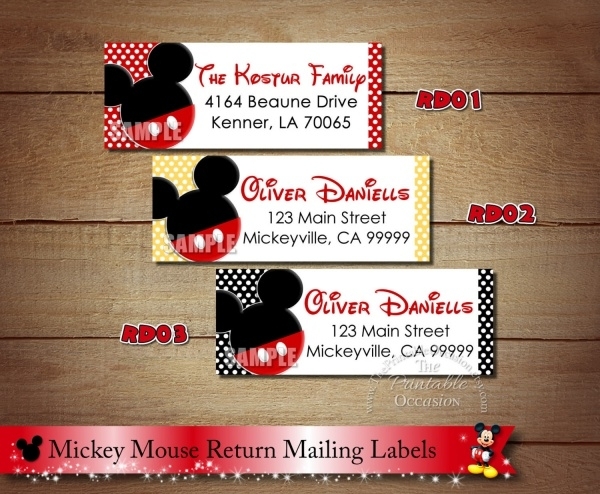 These Mickey Mouse Return Address labels are specially made to attract kids that are below 10 years with the Mickey Mouse animated sketches on the label. Everyone who is fans of Mickey Mouse would love this. These tribal designs on return address label with calligraphy performed on address and name on the white color paper. The dimensions are set like 2.625″ x 1″, making it choose according to customization. 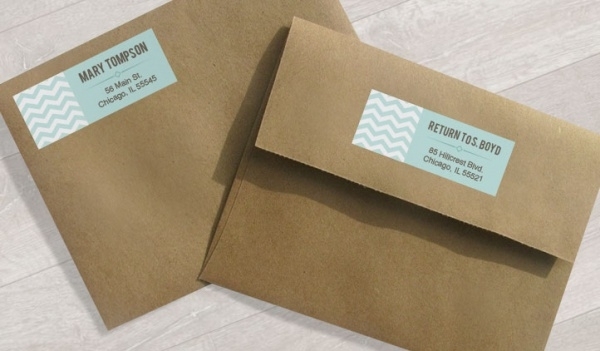 How these Best “Return Address Labels” used? 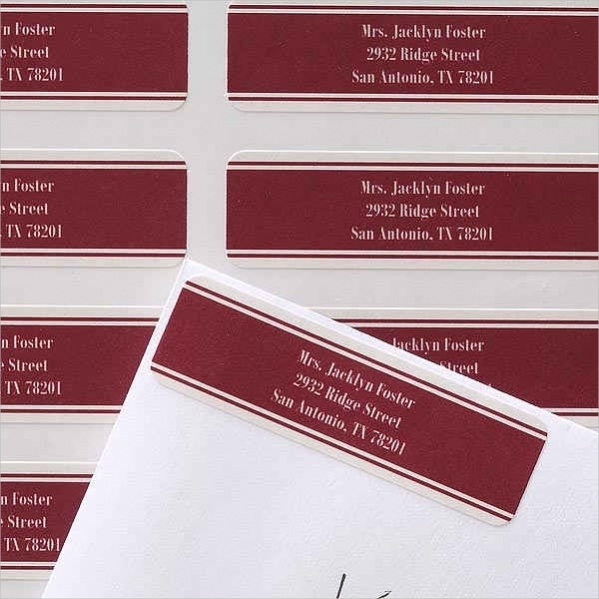 Return address labels are customized and imprinted on a sheet of papers of a different variety having creative designs in accordance with the desire of customers. These labels have self-adhesive provided by a manufacturer like a sticker mentioning the name and address of the sender to get regards or warm welcome from the guests. 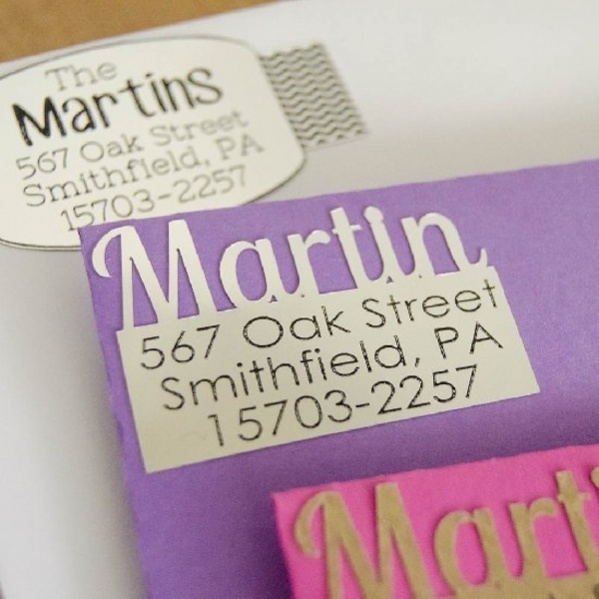 There are various self-themed, handmade creative labels as described above which can be peeled and stuck on the envelope on the top left corner of the envelope. 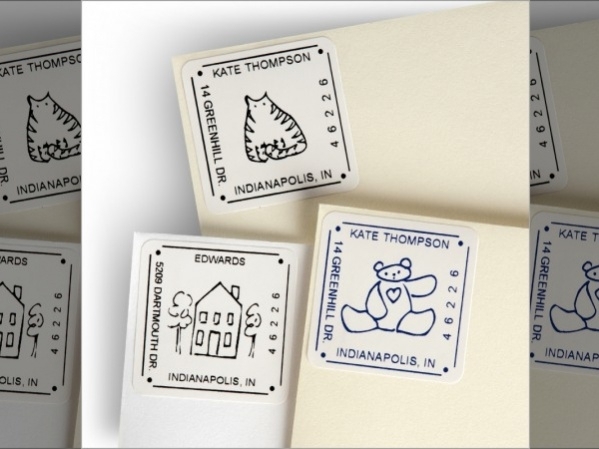 These are small size labels which cover a 1/6th space of the envelope and gives a special appearance to the letter. To enhance and cherish your life it is important to be in touch with people and to make that right, return address label is the right label to choose. Someone once said difficult road often leads to beautiful destinations, so this could be the destination make relations invite people in your life and we are here to make labels for you. You may also see Wine Labels.